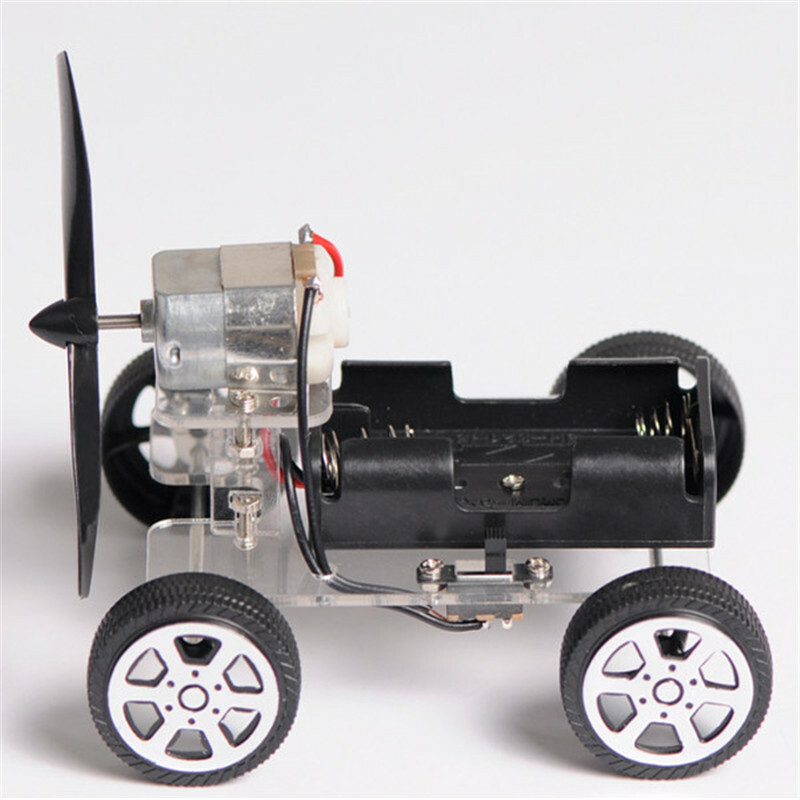 130 motors, 130 plastic wheel holder 30 x 2mm, the axle 70 x 2mm, triangle, M2X5 screws, M2 nut, propeller 75 mm, flow hood, horizontal handle switch, AA battery box without cover, acrylic car plates wind car bracket NO.06, wind bracket, motor bracket. This is a DIY kit, you need to assembling it. 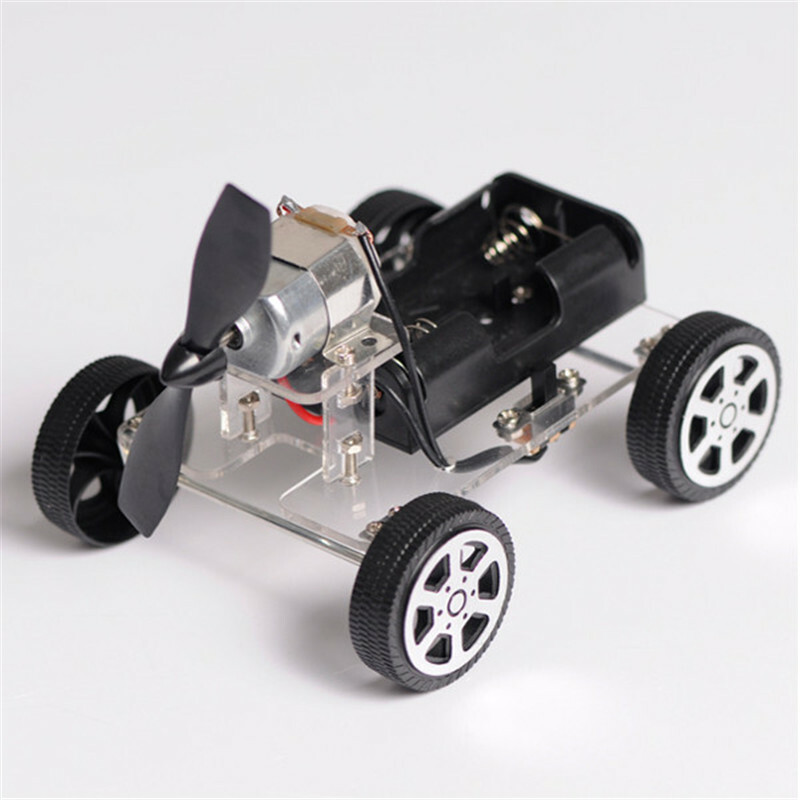 This car drives very fast, can avoid obstacles, climbing and so on. 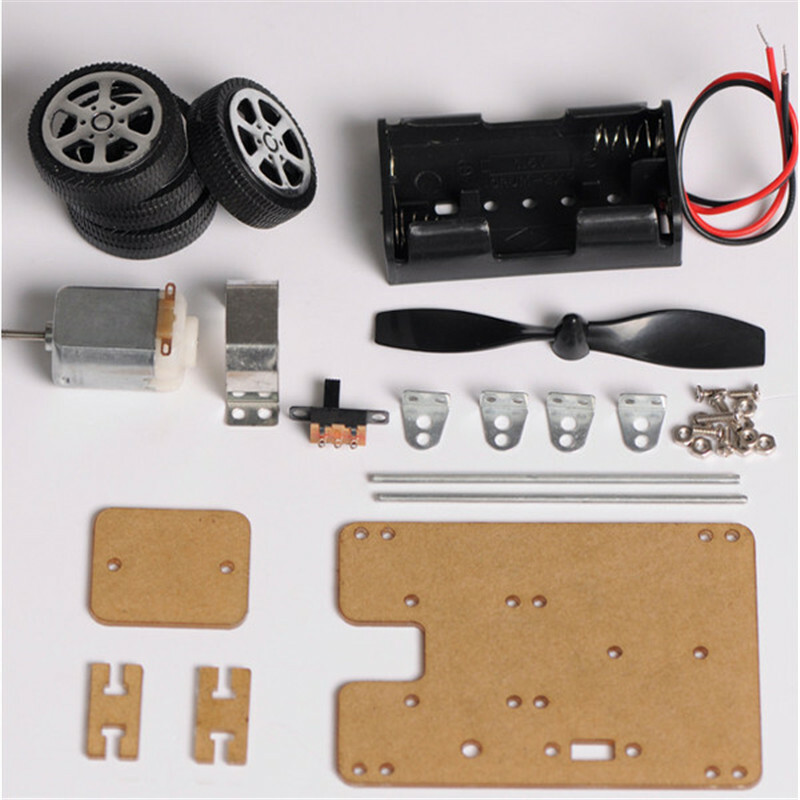 This kit is for teenagers developmental stage, assembling a variety of electronic, mechanical structure, growth imagination and practical ability in the hands-on production process.